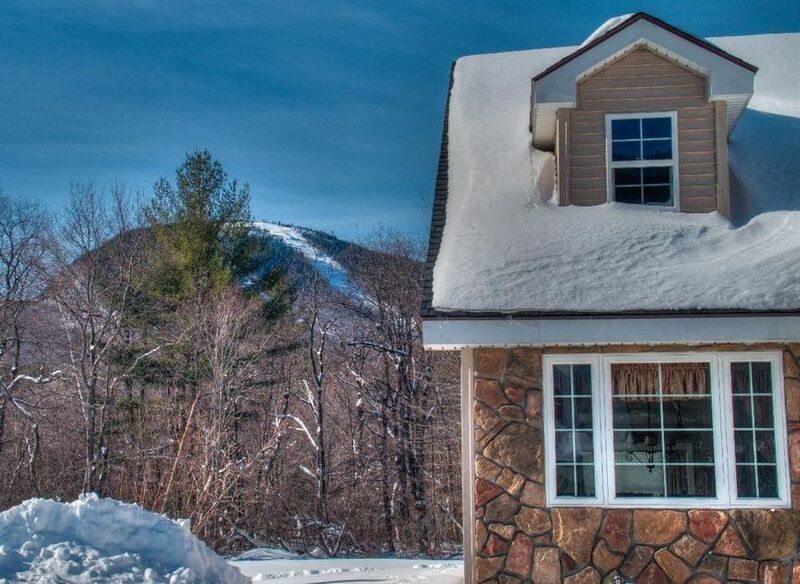 Mountain Vista Condominiums are conveniently located near the Sunday River Resort, just off the access road, and has the added benefit of being a stop on the Mountain Explorer Shuttle Route. The neighborhood is located at the base of Mount Will, better known now as the home to The Peaks and Peaks Village. It is conveniently located just across the street from the ever-popular Matterhorn Ski Bar and some units have views of White Cap. Built in 2005, the complex has 16, 2000 square-foot units with three bedrooms, including a first floor master suite, and two and a half baths and they have garages. Though their exteriors do not scream ski house, their interior layouts include all of the components of a good retreat in the mountains: entry way, open kitchen and living area, sunroom, area for an optional hot tub, laundry, and spacious upstairs bedroom that is typically used as a bunk room with plenty of room for a television and play set up as well. The units must hold great appeal, as the project sold out under in under 24 months. There have been a few Resale units to date. There are association fees and Bylaws. Owners who wish to rent seasonally or short-term can have great success with Mountain Vista units on there own or through a rental agency such as Mountain Real Estate Company Rentals. Property listings for Mountain Vista Townhomes.